Claire is starting to realize that there's a connection between sweet grins, oohing parents, and a bright flash. Doesn't take long, does it? 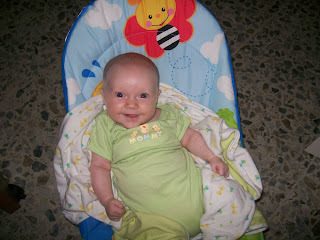 This Wednesday, she'll be eight weeks old.